Arrive Sydney. You will be met and transferred to your hotel. Rest of the day is at leisure to explore this beautiful cosmopolitan city on your own. In the evening we suggest dinner at the 360 Bar and Dinning in the Sydney Tower. Situated over 80 storeys above the city centre, the stylish revolving dining room takes guests on a panoramic journey around Sydney. (on your own). Overnight stay at the hotel. Optional Activities: ​360 Bar and Dining is the preeminent restaurant space in Sydney Tower Dining boasting unsurpassed 360 revolving views of the Sydney skyline. With dark mahogany wood finishes and soft ambient lighting, 360 Bar and Dining provides a breathtaking setting with an unbeatable backdrop. Note: Dress code is smart casual wear & shoes. Breakfast at the hotel. Enjoy the morning exploring Sydney with the Sydney Explorer and Bondi Explorer Pass; with great views from the top of the bus, strategically placed stops and an interesting commentary. The main attractions covered are; Sydney Cove, Sydney Opera House, Botanic Garden, Australian Museum, Kings Cross, Mrs Macquarie`s Chair, Art Gallery of NSW, Queen Victoria Building, National Maritime Museum, Sydney Aquarium/ Sydney Wildlife World, The Rocks, Double Bay, Bondi Beach, Rose Bay Convent, The Gap Park, Sydney Cricket Ground, Oxford Street, Hyde Park to name a few. Overnight stay at the hotel. Breakfast at the hotel. Day is at leisure or you can take a full day excursion to the World Heritage Blue Mountains (Optional); visit the quaint mountain villages and Featherdale Wildlife Park on your scenic drive from Sydney. Experience all that the Blue Mountains has to offer including the Three Sisters at Katoomba, you will also have the opportunity to see Australia`s unique wildlife including Kangaroos, Koalas, Wallabies and Wombats. Later return to Sydney and overnight stay at the hotel. Breakfast at the hotel. Check out of the hotel and transfer to the airport to board your flight to Cairns. On arrival, you will be met and transferred to your hotel. Afternoon is at leisure or we suggest you visit the Kuranda Rain Forest, which is surrounded by World Heritage Rainforest. Board the world most Scenic Rail departing from Cairns railway station, the train journey will take you through 15 hand carved tunnels, across the giant bridge over Stony Creek, and will stop at Barron Gorge Observation Deck for photographs. Traverse through rainforest, and see the ferns, orchids, strangler figs and stinging trees, as well as birds such as the Azure Kingfisher and a host of other animals and reptiles (on your own). Overnight stay at the hotel. After breakfast, we proceed for an excursion to the Big Cat Great Barrier Reef Cruise to Green Island. Begin with a transfer to the Cairns pier and board the catamaran to the Green Island in the Great Barrier Reef. A host of reef activities awaits you like snorkelling, swimming, viewing coral from a glass bottom boat. You can take an introductory scuba dive under expert supervision (at an extra cost). Enjoy the Semi Submarine ride, as you explore the underwater world of the reef without getting wet. Seated below water level you are treated to a diver`s view of the beautiful and colourful coral reef formations and marine life. Enjoy a sumptuous buffet lunch. Overnight stay at the hotel. After breakfast at the hotel, Check out of the hotel and transfer to the airport to board flight to Brisbane. Upon arrival in Brisbane, you will be met and transferred to Gold Coast. Check into your hotel. Rest of the day is at leisure. In the evening we recommend you take an optional visit to Australian Outback Spectacular. A unique and exciting evening dinner show capturing the grandeur of the Australian Outback and a first of its kind in Australia! Overnight stay at the hotel. Breakfast at the hotel. Spend the day at the Dream World. Enjoy thrilling attractions and shows including Imax Theatre, Screamworld, Wiggles World, Nickelodeon Central, several family rides for small children and adults. There are thrilling rides like the Giant Drop, Tower of Terror, Cyclone Rollercoaster, Wipeout, The Claw and the all NEW Mick Doohan`s Motocoaster! Come face to face with rare Bengal tigers at Tiger Island; visit the Australian Wildlife Experience, home to over 800 native animals and birds. Dream World has something for everybody! Overnight stay at the hotel. Optional Activities: Outback Spectacular is a unique and exciting evening dinner show capturing the grandeur of the Australian Outback and a first of its kind in Australia. Australian Outback Spectacular, presented by R.M. Williams, is located on the Pacific Motorway between Warner Bros Movie World and Wet 'n' Wild Water World, just 20 minutes from the heart of Surfers Paradise. A mouth-watering and tantalizing array of Aussie food will make up the delicious 3 course dinner you will be served during Australian Outback Spectacular! Commence with entrée - deliciously fresh home grown bush spinach and ricotta tart with camp fire roasted capsicum & bush tomato chutney and with pesto infused oil followed by barbecue tenderloin beef steak with rich gravy, seasoned with Kakadu plum sauce and served with garden vegetables and Australian Damper. Finished off with traditional baked Pavlova with Queensland berries and country cream and Bush Billy Tea! For vegetarian guests, mains will consist of Ratatouille based vegetable dish served in a pot, pastry topped, and serving of vegetables consisting of pumpkin, beans and carrot, mash potato and damper. You will be offered a choice of either beer, wine or soft drink throughout the show. Gluten free and diabetic meal requests can be accommodated but need to be made at time of booking. Breakfast at the hotel. Today visit the Sea World (Optional). At Sea World Make contact with marine life wonders and experience a whole world of amazing rides, shows and attractions at this family friendly theme park! Get below the surface to discover a world of fun and adventure at Sea World! See the beautiful polar bear cubs, Hudson and Nelson as they play in their state-of-the-art home Polar Bear Shores. Overnight stay at the hotel. Optional Activities: Here at Sea World Gold Coast you can make contact with marine life wonders and experience a whole world of amazing rides, shows and attractions at a Gold Coast theme park favourite. More than just a theme park, Sea World is committed to educating about the marine environment. It is a day filled with fun and interesting facts and information. 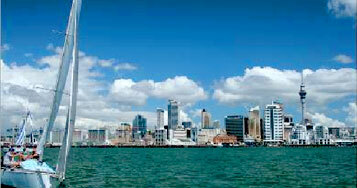 After breakfast you will be transferred to airport to board your flight to Christchurch. Arrival in Christchurch, ‘The Garden City’, you will be transferred to your hotel. Check into your hotel. Rest of the day is at your leisure. Overnight at the hotel. After breakfast, travel across the fertile Canterbury Plains before arriving at Lake Tekapo. Continue south to the small town of Twizel before traveling through the historic Central Otago region to Lake Wakatipu and the ‘Alpine Resort’ of Queenstown. Overnight at the hotel. After breakfast, proceed toward the southern arm of Lake Wakatipu to Lumsden, and onward to Lake Te Anau. Enter the Eglinton Valley and travel through the breath taking man made Homer Tunnel to reach Milford Sound. Enjoy a cruise on this world famous fiord, dominated by Mitre Peak and the cascading Bowen Falls. Return to Queenstown. Overnight at the hotel. Breakfast at the hotel, the day is free to explore the endless optional attractions available. Queenstown offers bungy jumping, jetboating, white water rafting, gondola rides and much more. Optional activities not included in the tour price. Overnight at the hotel. Optional Activities: 1)	Minus 5 Ice Bar here literally everything is made of ice! Enjoy a cocktail, while wrapped up like a eskimo and enjoy this unique environment. 2)	Skyline Gondola You can take a ride on the cable car to Bob's Peak, to enjoy the beautiful scenic views of New Zealand's adventure capital and it's surrounding mountains. There is a café, restaurant buffet, several hiking trails, a bobsleigh run with 2 speed settings for daredevils and a Maori cultural performance. Jump on your specialized Luge cart, select your track, then take control as you zoom down the Luge. Then catch the Luge chairlift back to the start zone and do it all over again. After breakfast, travel through the Central Otago region and on to Twizel. Follow the shores of Lake Pukaki to Mt Cook or Aoraki’, the cloud piercer. Visit the Church of the Good Shepherd at Lake Tekapo before travelling across the Canterbury Plains to arrive in Christchurch. Check into you hotel, Overnight at the hotel. After breakfast you will be transferred to airport, to board your flight back home or onward destination.